Buckwheat is a flour I have really enjoyed working with, like in my buckwheat waffles. I love the flavor, texture, and nutrition so much. I also love making quick, simple, and filling breakfasts in the morning, especially on work days. Here is an easy recipe that can be made in the microwave, is high in protein, keeps you full, and is very tasty. Stir in mashed banana and almond milk and mix until combined. Pour batter into ramekin and heat in the microwave for 5 minutes. Allow to cool. Flip ramekin over onto a plate and enjoy. You can top your buckwheat bake with any toppings desired (fresh or dried fruits, nuts, seeds, yogurt, nut butter, etc.). My favorite topping is peanut flour sauce with bananas. For the peanut flour sauce, I just mix together 2 tbsp peanut flour with 1.5 tbsp almond milk, stevia, and sea salt. Then, I add the other 1/2 of my banana on top! I seriously make this breakfast at least once a week! To make this breakfast even quicker in the morning, sometimes I’ll mix together all the dry ingredients in a bowl the night before. Then, in the morning, I just have to stir in the almond milk and mashed banana and let it heat while I finish getting ready to start the day! The recipe for just the buckwheat bake yields approximately 258 calories and 15g protein. 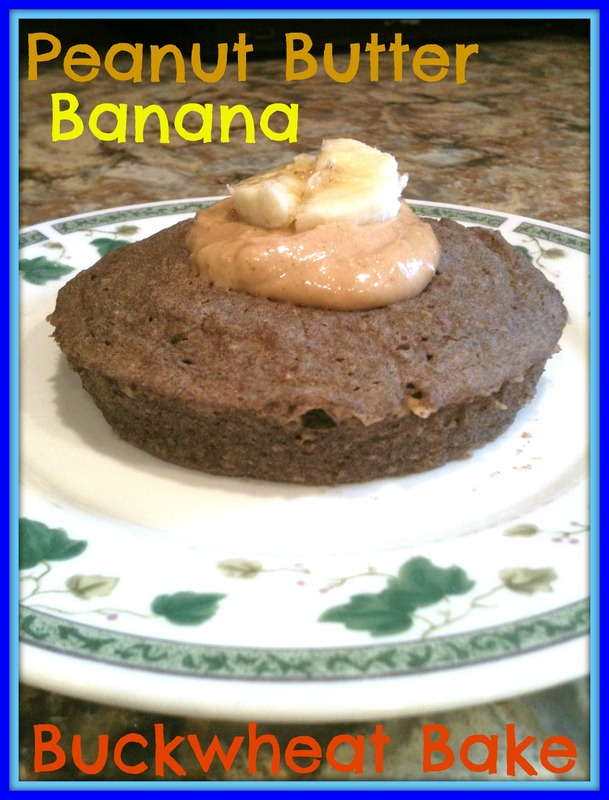 The recipe for the buckwheat bake with the peanut flour sauce and 1/2 sliced banana yields approximately 370 calories and 23.5g protein. Welcome to Green Living Ash! I am actually currently transitioning my old blog from blogger to my new blog here at wordpress. Basically, the reason I started my blog was because a little over a year ago I began eating a vegan diet and six months prior to that I discovered I have a gluten intolerance. You can read more on my about me page. Since then, I discovered a love for cooking delicious plant-based meals. I decided to start a blog where I could post recipes (all vegan and gluten free) to my favorite meals and have access to them no matter where I’m cooking. It is also a much easier way to file recipes and keep them organized rather than in a binder where papers can get easily lost or take forever to find the specific one I want to cook. It also allows me to easily share my recipes with others who have enjoyed the food I made and asked for the recipe. Most recipes are ones that I find online or in cookbooks because I am definitely not a chef and I usually need to follow a recipe exactly, but usually make small changes to adapt the recipe to suit my own tastebuds with seasonings and spices. By putting the recipes on my blog I can remember exactly how I cooked the meal that I enjoyed so much! I also hope these recipes inspire others who may be looking for simple and tasty vegan and gluten free foods whether you are vegan, are gluten free, transitioning to a vegan diet, or maybe none of the above but just want to enjoy some delicious food! On my blog, you will also see posts about other things fun things going on in my life! Today’s post is not really a recipe, it is actually a wrap I made and I absolutely loved the combination. Usually I enjoy wraps/sandwiches for lunch, but I actually had this one for breakfast and I really enjoyed it at that time of the day. This wrap had so many of my favorite foods all together and provided healthy fats, carbs and protein to keep me satisfied and energized all morning. Spread peanut butter on the wrap. Then, spread on the avocado and top with the banana slices. This recipe yields approximately 375 calories and 6.5g protein. Combine all ingredients in a small bowl and mix until well combined. Heat waffle iron and spray with non-stick spray. Pour batter into waffle iron and cook according to your waffle iron’s directions. I topped my waffles with peanut butter yogurt (2 tbsp almond yogurt, 1 tbsp almond milk, and 1 tbsp peanut butter flour) the other 1/2 banana sliced, and a sprinkle of cinnamon. Maple syrup and other fruits or even nuts would also be great on these waffles! Carrot Cake Waffles: Add about 1 cup shredded carrots, 1/4 cup walnuts, and a dash of nutmeg. Chocolate Strawberry Waffles: Add about 2 cups chopped strawberries (I used a food processor) and 1/4 cup cocoa powder to the batter before mixing it all together and pouring it in the waffle iron. 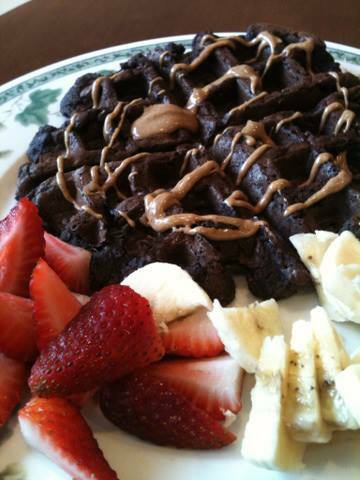 If desired, add chopped strawberries and bananas on the side, and top the waffle with almond butter. OMG, SO good! 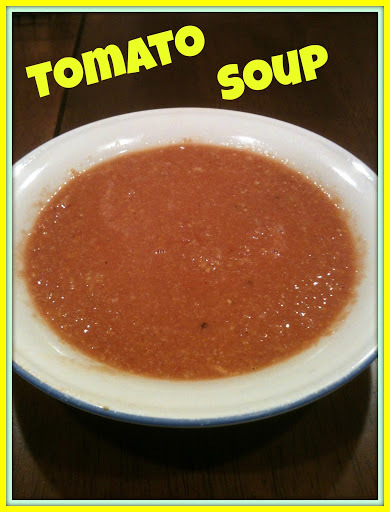 This past Saturday, I posted a recipe for Tomato Soup. I thought it was kind of ironic that I posted this soup recipe on a day that it was 60 degrees outside. However, I figured it would be a good chance to get in at least one more soup recipe before the winter ends. Well after this weekend, the temperatures haven’t been that warm and have been quite windy. I don’t think we even got into the 50s (maybe just on Monday). I guess I had been wishing for warmer weather a little too early, especially now that we have an extra hour of daylight. But since we are not quite to that warm weather yet and we still have 5 more days until the first day of Spring! 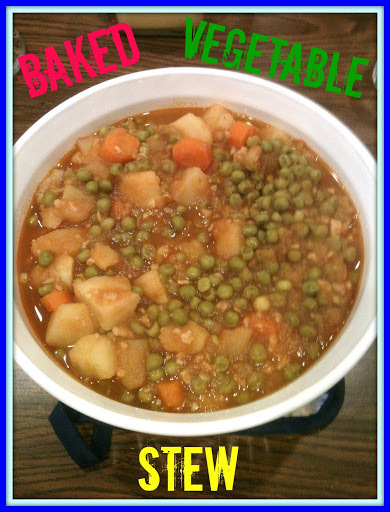 I am going to post one more stew recipe I enjoyed this winter. This recipe was super easy to make and would make a great last comfort meal to celebrate the end of winter. Heat oil in a large saucepan. Add onion and saute for about one minute. Add the rest of the veggies and lower heat, stirring about every minute. Mix in the remaining ingredients, except for the water. Cover and allow to cook for about 5 minutes, stirring about every minute. Add half the water (one cup), lower the temperature, and allow to cook for 30 minutes. Add the other half the water and stir. Pour mixture into a large baking dish. Bake in oven at 200F for about an hour, or until the potatoes are soft. One thing I really like about this recipe is you can easily swap the peas and carrots for different veggies if you would prefer. Or maybe even add extra veggies like some corn!I am roughly estimating this recipe makes 4 entree servings. However, this recipe can also be made into 8 smaller side dish servings. One entree serving yields approximately 306 calories and 11g protein. 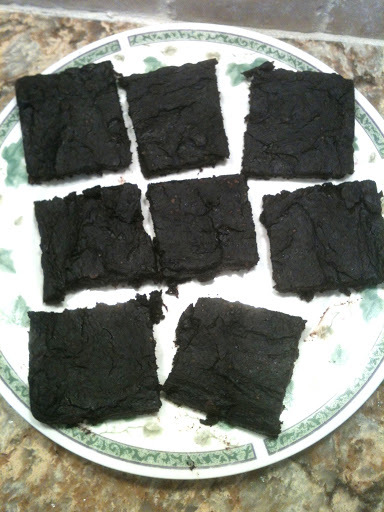 Here is another recipe with Spirulina. I posted my first recipe using spirulina here and talked about the benefits of this ingredient. I have been adding spirulina to so many things lately, even my oatmeal! I love all the nutrition I get first thing in the morning by adding spirulina to my breakfast. In a breakfast bowl, combine oats, almond milk, sea salt, chia seeds, and flax seeds. In the morning, add more liquid if needed or if desired. Then, stir in almond butter, banana, and spirulina. This is a recipe for cold oatmeal, however it can also be eaten warm if that is what you prefer. I still recommend letting the oats soak overnight with the chia and flax seeds, but before stirring in the other ingredients in the morning, heat the oatmeal for about a minute and a half first. 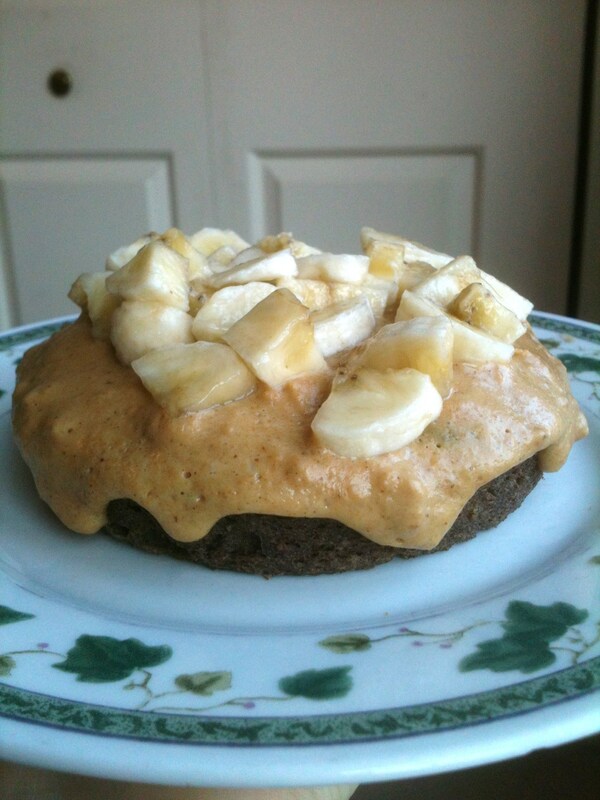 Then stir in the almond butter, banana, and spirulina. If you don’t have spirulina you can still make this delicious breakfast. You can either order some at iherb (use my code LWZ362 for a discount! ), or just sub the ingredient with spinach. 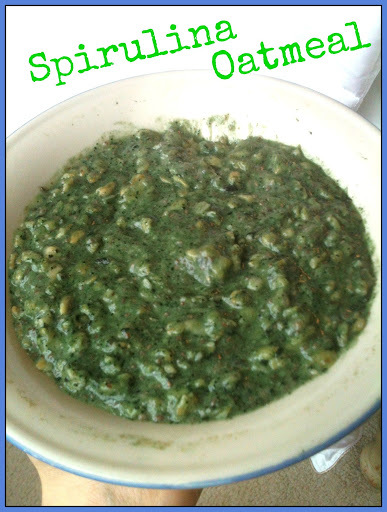 I recommend blending the spinach with the oats, almond milk, and seeds then placing it in the fridge overnight.This recipe yields approximately 450 calories and 15g protein. In a small bowl, mix together chia seeds and water. Set aside for at least 15 minutes to allow it to gel. Chop the broccoli and discard the stems. Place broccoli florets into a food processor and pulse a few times until the texture is similar to rice. Add in the nutritional yeast, water, and chia seed mixture and pulse until well combined. Season with garlic powder and sea salt and pulse to combine. Add in baking powder and pulse a few times to mix together. Preheat oven to 375F and spray a baking sheet with non-stick spray. Spread mixture evenly onto baking sheet using a spatula to make it as thick or thin as you like. Using a spatula, carefully break apart the “breadsticks” and flip them over. Bake for an additional 15 minutes. This was a fun new way to eat broccoli! Plus, I love that they are shaped like breadsticks but are so much healthier than regular breadsticks and they are green! 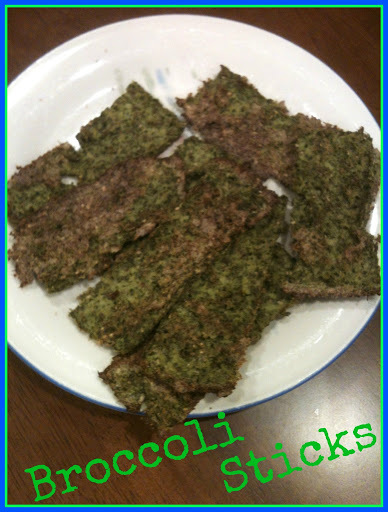 I love green food and eating green “breadsticks” is so much fun! These may not have looked the prettiest but they were definitely tasty, especially dipped into the tomato soup. These also taste great plain or I actually even enjoyed dipping them into ketchup! Based on making 15 “breadsticks”, each “breadstick” yields approximately 22 calories and 1.5g protein. I almost didn’t post this soup recipe today because it is absolutely gorgeous outside! High 50s/Low 60s and sunny with no wind! Wow! Haven’t seen a day like this in forever and I am absolutely loving it! Spring is definitely in the air and I can totally feel it as I relaxed on the back porch this afternoon soaking up some sun and relaxing with a good book. Knowing that we spring the clocks forward an hour tomorrow makes today even that much better. Sure we lose an hour but hello sunlight! With all that said (if you can’t tell I’m extremely excited for this warm weather) I figured I would post this soup recipe anyway since this may be the last chance you actually want to make soup before saying goodbye until next winter when soups become popular again. Not only is this soup tasty, but it is super easy to make which makes it great to make if you don’t have much time but want something nutritious. In a blender, blend chickpeas until broken down. Add the remaining ingredients, except the garlic powder, salt, and pepper, and blend until smooth and creamy. Pour into a large pot and heat until warm. Season with garlic powder, salt, and pepper and/or any other seasonings you desire. Alternatively, you can pour the soup right from the blender into individual bowls and heat in the microwave for an even quicker meal. I doubled this recipe since it is such a light soup and the original recipe only made 1-2 servings.This soup makes 8.5 cups. Based on a 1 cup serving, this recipe yields approximately 135 calories and 8g protein. I absolutely love putting avocados in desserts! It makes them super creamy and adds some healthy fat. I usually put avocado in chocolate pudding but this time i wanted to try putting avocado in a different dessert, brownies! These brownies were eaten so fast, everyone loved them! 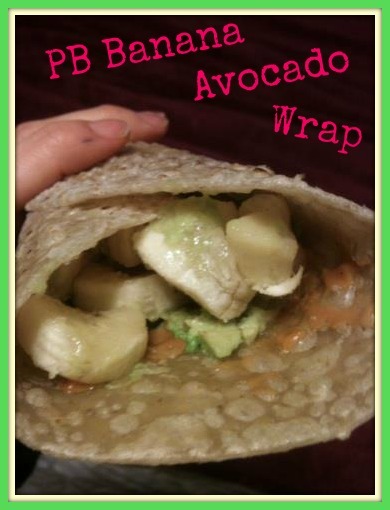 I have to go buy more avocados to make this tasty treat again! Preheat oven to 350F. Grease a 9×9 inch square pan and set aside. In a small bowl, mix together the ground flaxseed and water and set aside. In a food processor, process the oats into a flour. Add the beans and process until very smooth. Add the mashed avocado, cocoa powder, flaxseed mixture, vanilla extract, and sugar to the food processor and blend until smooth. Melt 2 tbsp of the chocolate chips in the microwave. Add to the food processor and blend. Add the salt and baking powder and pulse until they are incorporated. Stir in the other 2 tbsp of chocolate chips. Pour the batter into the prepared pan and use a spatula to distribute it evenly and make sure it is smooth. Bake for about 25 minutes. Allow to cool before slicing. 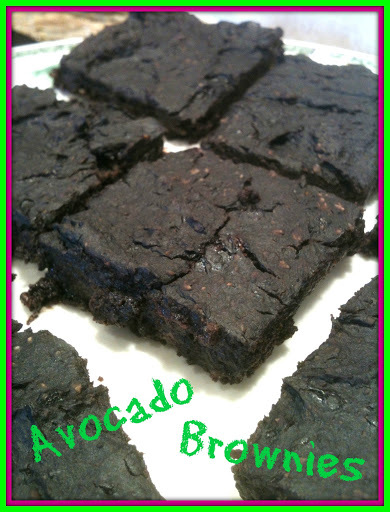 I know the combination of black beans and avocado may sound unusual, but don’t be scared off! You cannot even taste the black beans, all you will taste is creamy chocolate! And of course you can always add extra chocolate chips into the batter before baking!This recipe yields 9 brownies. One brownie yields approximately 128 calories and 3g protein. I love making granola! Since I make yogurt bowls a lot, I love adding fresh granola to each yogurt bowl for some added crunch, so I go through it quite a bit. This is why homemade granola is so much better than store-bought. 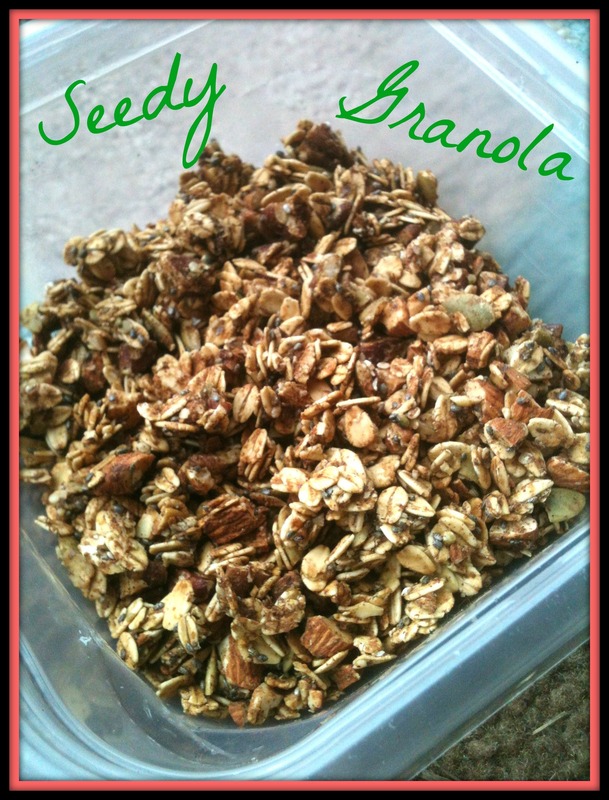 It is much cheaper to make my own, plus I love being able to control the different ingredients I put into the different types of granola I make each time. This granola is not one of my favorites, I think it was more like a savory granola than a sweet granola, and I am totally a sweet snack kind of girl. However, it was still very tasty and I love how all the nuts and seeds give this granola so many healthy nutrients! Preheat oven to 325F and line a baking sheet with aluminum foil. In a small bowl, combine the flax and water. Set aside to thicken. In a small food processor, combine almonds, pecans, and pepitas. Pulse for just a few seconds to roughly chop up the nuts and pepitas. In a large bowl, combine oats, nuts, seeds, spices, and salt. Set aside. Grab the small bowl with the flax. Add maple syrup and vanilla extract and stir to combine. Pour the wet ingredients into the dry ingredients. Mix together until everything is well combined. Spread granola onto prepared baking sheet and bake for 15 minutes. Remove from the oven, stir, and continue baking for 5-15 minutes, keeping in mind that it will continue to crisp as it cools. 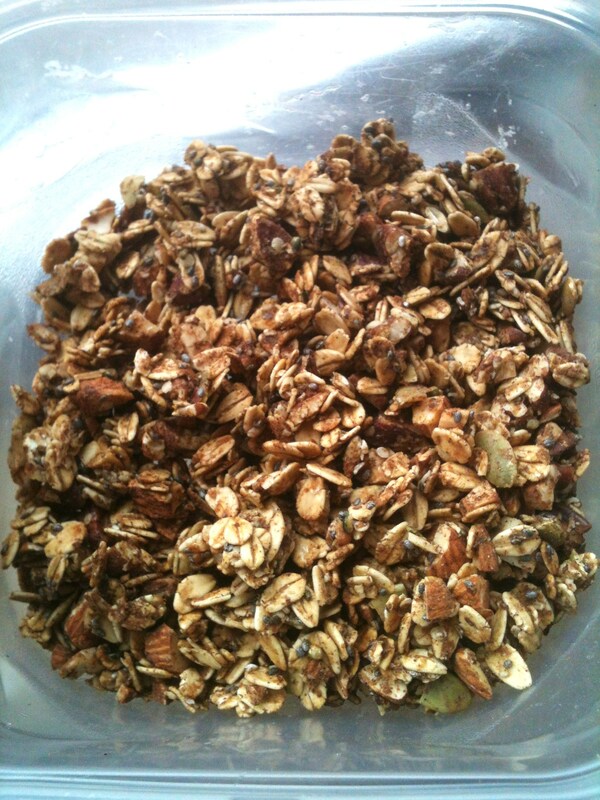 Allow granola to cool completely before storing in an airtight container. I know there are a lot of ingredients in this granola, but it is worth the few extra minutes to mix everything together for a granola with a lot of flavor. Based on a 1/4 cup serving, I am roughly estimating that this granola yields approximately 106 calories and 3g protein.